Flames Shooting Out Of These Rumbling Cars Will Make Your Day! - Muscle Cars Zone! Flames Shooting Out Of These Rumbling Cars Will Make Your Day! When you want to relax, sometimes you just want to watch some giant flames shooting out of some really loudly revving cars. We all know the type – way over the top, needlessly loud but incredibly attractive flame throwing vehicles, modified by their owners so that they would be really noticeable. However, that`s not necessarily bad as these bad boys pack a serious punch in every possible way – you can`t even stand behind them without getting your eyebrows burned off! Besides, there are all kinds of cars here, from old cars with new giant and overpowered engines fitted in them, to new cars with even better tweaks to the internal organs which makes them able to do all of this. Either way, it`s really relaxing to watch them! While having flames shooting out of the back of your vehicle is the coolest thing you can do, it is also one of the most damaging to your car. 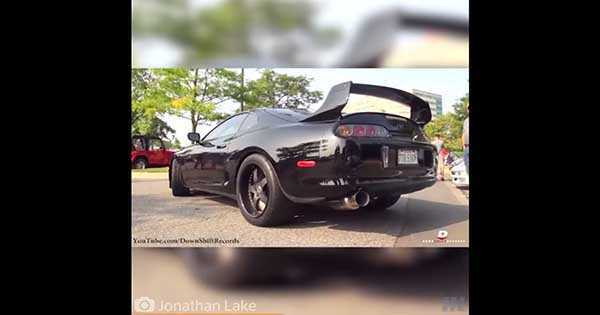 When you see four exhaust pipes spewing hot flames all over the pavement behind your car, you don`t really think about the dropping durability rate of the turbo in the car that`s doing the revving, but you need to start. Millions of dollars go into parts for new turbo`s every year just because they`ve been damaged from an activity like this. Maybe the coolness is worth it, maybe you want to conserve your parts, but one cancels out the other, so make sure to keep track of what you want your car to be – cool or mechanically sound. Wonder how to make your car shoot flames?